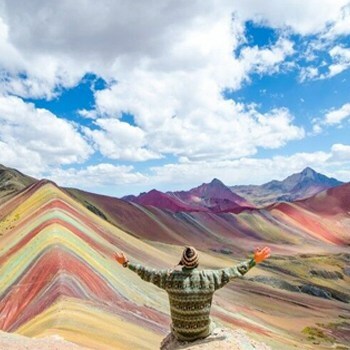 Laguna 69: Discover all of the information you need to know about one of the most beautiful lagoons in the world and one of the top treks in Peru below! You need to put Laguna 69 on your bucket list right now! 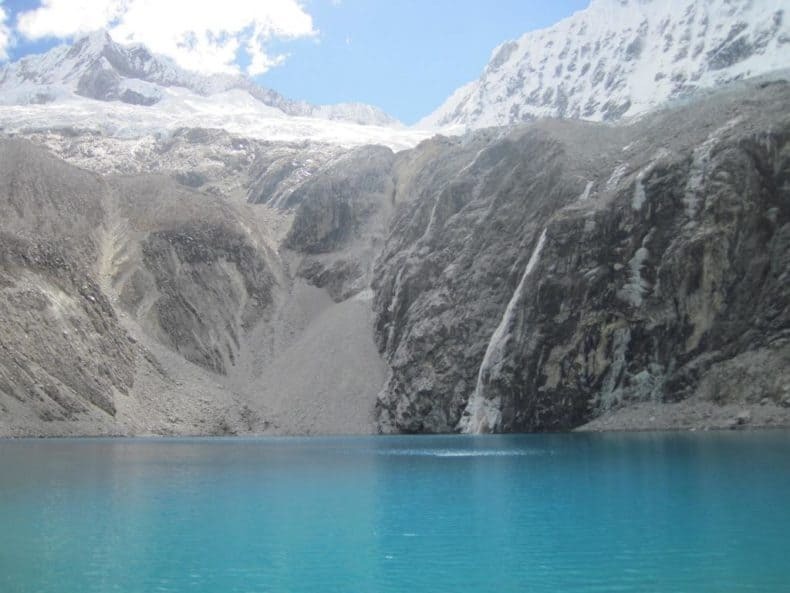 It is one of the most beautiful lagoons in the world and one of the top treks you can do in Peru. The best thing is that you only need one day to do it! 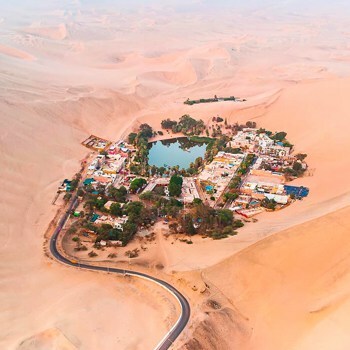 Laguna 69 is a magical place that will – figuratively and literally – take your breath away. The altitude of the lagoon is at an incredible 4500m (14,764 ft) but it is absolutely worth the hike to reach this amazing view. 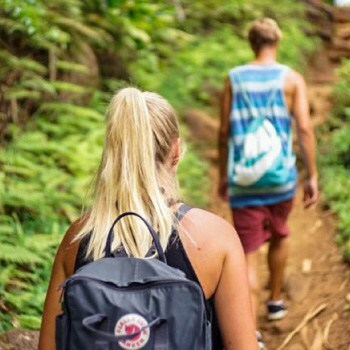 The hike up to Laguna 69 is the perfect day trip for all mountain and nature lovers. As you make your way up, you are surrounded by stunning views of mountains, small waterfalls, creeks, and wandering animals. 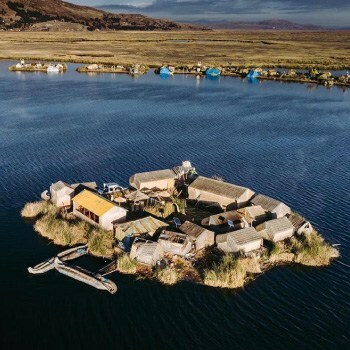 It takes about 3 hours to get to the lagoon and about 2 hours to return. Most people spend around an hour at the lagoon relaxing and enjoying a wonderful picnic. If you dare to take the plunge into the lagoon, warning: it is freezing cold! There are crazy people who do it, but just remember for your walk back – it gets cold as the sun goes down! Laguna 69 is located in Huascarán National Park, which is just northeast of Lima. 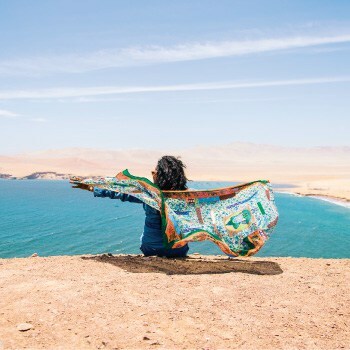 Whether you are coming from the north or the south of Peru, the only way to get there is by car or bus. The main access to the park is a town called Huaraz. The easiest way to get to Huaraz from Lima, is to take a public bus. These are coach buses that are operated by several different companies like Cruz del Sur, Civa, MovilTours, etc. Buses run daily and take about 9 hours to get there. A great option is to take the overnight bus so you won’t have to waste any day time riding on a bus. 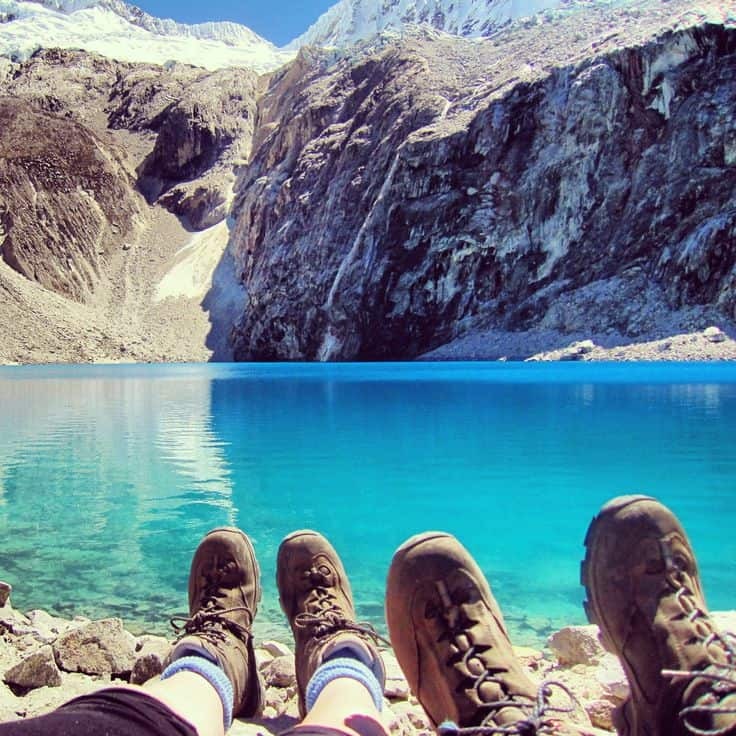 Once you are in Huaraz, the start of the trek is only 3 hours away. 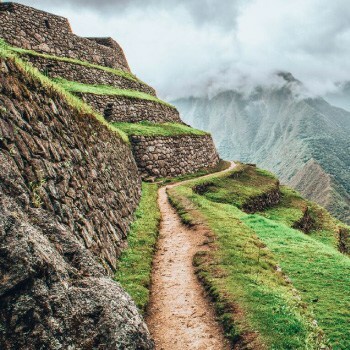 Whether you are taking a car, public transportation or a bus to the Laguna 69 trek, you will first need to decide if you will go on a tour or do the trek on your own. 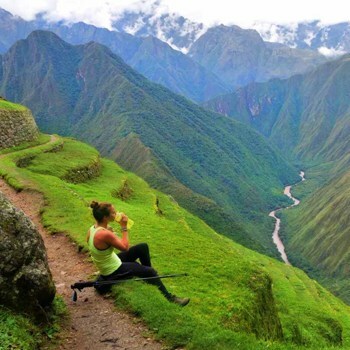 When you are in the city of Huaraz, there will be plenty of travel companies offering you tours and treks to the attractions around the Cordillera Blanca area. They are all going to be relatively similar with the same schedules, but different guides. The thing that you need to look out for is that they aren’t trying to rip you off . These day treks should cost you around 30-35 Soles, no more! It is common for tour companies to double the prices if you are an unaware foreigner, don’t be that person falling for their scam!! Booking a tour can make things simple for you. Why? They are your transportation. Essentially, they will make sure you efficiently see Laguna 69. Tours will pick you up around 5 am and return you at around 7 pm the same day. Tours generally go as followed: They will pick you up from whatever hostel/hotel you are staying at in Huaraz. Next, they will make sure you get a good start to the day by stopping for breakfast along the way. You will then proceed to Huascarán National Park where you will pay for your entrance (10 Soles). Then, they will send you off to follow the trek. People go at different paces depending on how the altitude effects them and their level of ability. Along the way, guides will help you if you are struggling with the hike. They will keep you in-check with the time and take you back to Huaraz. With tours there is no public transport, and you will have a comfortable bus to and from the trek. Plus, since you are going with other travellers, it is a great way to meet others from all around the world doing the same thing as you. The trail is very well marked, so if you have hiked before, you can easily complete this trek on your own. Since the trail is easily navigable, it is just a matter of getting through the altitude and completing the trek. The most difficult part of not doing a tour is the transportation to and from the trek. It can cost more money and be more stressful if you decide to take public transportation rather than a tour. Your public transportation consists of either taking a taxi or colectivos. If you do take one of these options, make sure timing-wise that you are able to secure transportation for both ways. The hike to the lake takes about 3 hours. The way up feels like forever, but once the view of Laguna 69 is in sight, it is completely worth it! The trek is classified as medium to hard. Most people find that the hardest challenge is the altitude. It is recommended that you take it at your own pace. Do not rush yourself, it is not a race. You will meet new people from all over the world along the trek and bond over the struggles of the altitude. The elevation of the lake sits at an incredible 4500m so make sure you prepare yourself for this. Altitude sickness may occur, but if you take the correct precautions everything will be fine. Eat well: Make sure you are eating adequately and are well nourished. 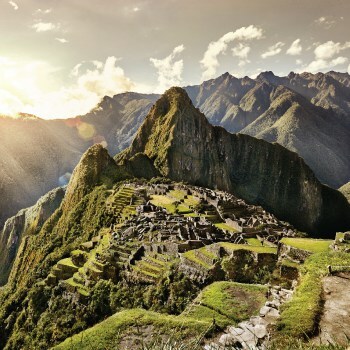 Drink Coca Tea or eat Coca Leaves: Believed to help reduce and prevent altitude sickness. 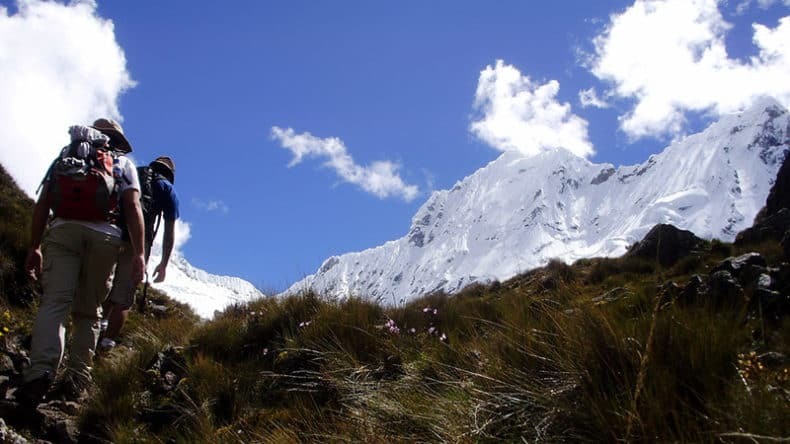 Acclimatize: If coming from lower elevations take a day or two to explore Huaraz and get used to the altitude. What Should You Bring On Your Trek? It’s only one day so you don’t need to bring much. Keep it simple and don’t overpack. The main thing to bring, is food and water. Food: Bring snacks that will keep you energized throughout the trek. Granola bars and trail mix are great options. In addition, it is a good idea to pack a lunch so you can enjoy it while relaxing by the lagoon. Water: You definitely want to make sure you have enough water. This is one of the best ways to help prevent altitude sickness. I would recommend to bring about 3L of water. + Bring a roll of toilet paper just incase you have to go to the bathroom after all of that water! Sun protection: Make sure you apply sunscreen and wear sunglasses/hat. During the trek, the weather is nice and sunny. Rain protection: There is always a chance of rain so make sure you bring your rain gear. Camera: It really would be a shame if you forgot your camera for this beautiful trek and its stunning views. What Should You Wear On Your Trek? Layers: During the morning and evening hours you will need to wear pants and long sleeves (possibly a sweatshirt/jumper). While you are on the trek, the sun shines bright so a tank top and shorts will do. Just wear layers and you will be well prepared for the temperature changes! Comfortable shoes: Either hiking shoes or tennis shoes will work, just know that there is a chance that your shoes will get wet and muddy. Day tours: Ruins of Chavín de Huantar, Puya Raymondi Plants and Pastoruri Glacier, Llanganuco lakes and Portchuelo View Point. 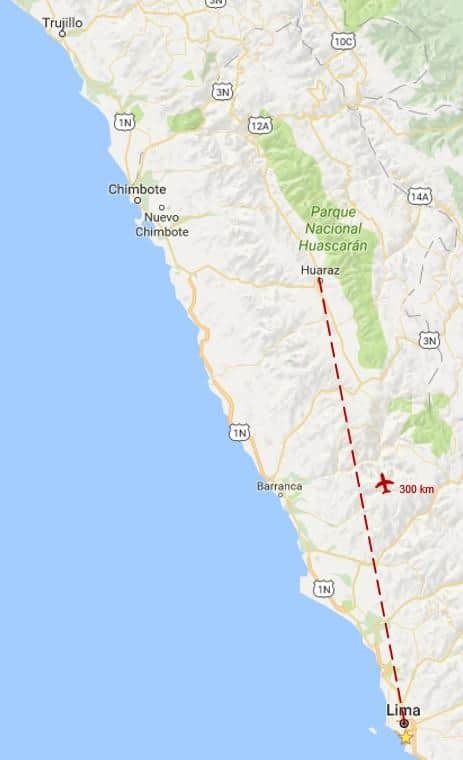 To book a Laguna 69 tour we recommend you use FindLocalTrips.com a search and comparison website for tours across all of South America.